Valencia vs Getafe predictions for this Sunday’s game in Spain’s La Liga as two Champions League hopefuls meet in an unlikely grudge match. Read on for our free betting tips and predictions. Valencia take on Getafe this Sunday in La Liga in a repeat of a bad-tempered Copa del Rey quarter-final between the sides. That game featured the coaches trading personal insults and basically descended into a riot after Valencia scored twice in Stoppage Time in the 2nd Leg to seal a remarkable late win. This one is also highly significant with both sides battling for 4th place. Valencia have developed a real habit for scoring key late goals this season and they were at it again on Thursday night as Goncalo Guedes fired home a vital Stoppage Time away goal to see Los Che through against Krasnodar in the Europa League. They also scored a 90th minute winner at Girona last weekend to maintain their strong overall form and they are unbeaten in 14 matches in all competitions. Despite that they still trail Getafe by 6 points in the race for Champions League football. Victory for the visitors here would be hugely significant and would leave the South Madrid club not just in with a chance of making the top four but as favourites to secure a place at Europe’s top table next term alongside Spain’s ‘big three’. They also take good form into this with 3 straight league victories. Valencia haven’t lost since they played Getafe in the 1st Leg of the cup quarter-final while Getafe haven’t lost since the 2nd leg of that tie so the result is a tricky one to call here. 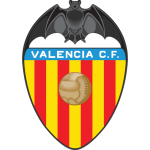 Valencia have more quality on paper and may just have a mental edge having also won away to Getafe earlier in the season in La Liga. Jose Bordalas’ side have a defensive reputation but they have been involved in some higher scoring games of late with both teams netting in all of their last 5 outings. 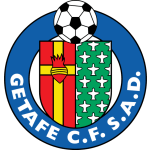 They’ve scored twice or more in all of their last 5 games so there certainly looks to be a good chance that Getafe will score in this match. If they do, Jaime Mata is the man most likely to get it. He’s in fine form with 7 goals in his last 5 games alone to move onto 13 league goals for the season, an impressive tally given he wasn’t even a regular starter at the beginning of the campaign. Backing Mata to score anytime could be worth a punt here. Valencia are looking more dangerous in front of goal too though now. With Guedes fit and firing again, they have real quality out wide while Rodrigo has rediscovered the goal touch up front. At generous odds, backing Both Teams to Score could be worth considering in this one. This will be the fourth competitive meeting between Valencia and Getafe across all competitions this season, with Valencia winning two of those (D1 L1). Valencia are looking to keep a clean sheet in five consecutive home games for the first time in LaLiga since April 2015 (6). Getafe have only lost two of their 14 away games in LaLiga this season (W4 D8), while they’ve not conceded more than twice in any of those. Getafe’s haul of 45 points from their first 27 LaLiga games this season is their best ever tally at this stage of a top-flight campaign. Valencia have won four of their last eight league games (D4), as many as in their previous 19 combined this season (W4 D11 L4). Valencia midfielder Daniel Parejo has already scored as many league goals this season as he did in 2017-18 (7) – he last netted more in a single campaign in 2015-16 (eight goals). Getafe striker Jaime Mata is the top-scoring Spaniard in LaLiga this season with 13 goals, while this is his first ever campaign in the top-flight. Getafe‘s Jaime Mata has scored seven goals in his last five LaLiga games, and is the first player in club history to score in five consecutive top-flight appearances. Getafe manager Jose Bordalás has won 50 games in all competitions while in charge of the club (112 games – W50 D32 L30). Valencia manager Marcelino García Toral has only lost six of his 16 games against Getafe in LaLiga (W8 D2).